Get your chickens ready for your next show — or just clean up your messy, muddy flock — with All Natural Murray's Best Chicken Suds Poultry Shampoo and Murray's Best Chicken Conditioner. Protection for the entire family from Mosquitos in this safe, non-toxic lotion. Mosquitos keeping you from enjoying your yard? Worried about disease laden mosquitos tormenting your chickens or pets? Create a natural no-bite zone around your chicken coop or patio that is completely free from chemicals. With this hand crank duster you can evenly and quickly disperse Dia-Secticide over a large area. Corrosion-resistant plastic and stainless steel parts for years of service. 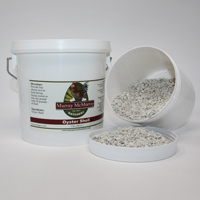 Murray's Select Oyster Shell is a must-have, added source of calcium for egg-laying hens. For stronger eggshells, offer ground oyster shell as a free choice with your chickens' grit and feed. Poultry produce more eggs when mites, fleas and lice no longer bite them. Body weight increases when pests are no longer present. This product has been used for over 100 years. Used in controlling colds, roup, respiratory problems, scaly legs, and eye worm. 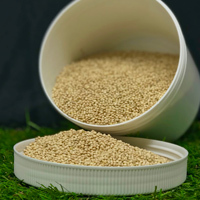 Proso millet is a healthy, high protein grain that poultry love to eat. Sow some in your poultry yard for them to feed on and save on the feed costs, or sprout it to grow your fodder for a healthy treat and to promote foraging. CHICKENS AND OTHER POULTRY MUST HAVE GRIT. Because chickens and other poultry do not have teeth, they need a hard substance in their crop and gizzard to help break down their feed. McMurray Hatchery’s #1 Grit is a smaller size for baby chicks and juvenile birds. 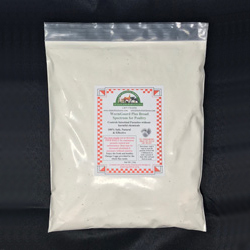 Organic poultry wormer safe for layers and broilers. No throwing out eggs! CHICKENS AND OTHER POULTRY MUST HAVE GRIT. Because chickens and other poultry do not have teeth, they need a hard substance in their crop and gizzard to help break down their feed. 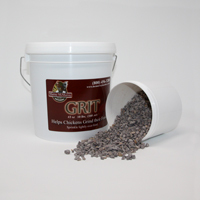 McMurray Hatchery’s #3 Grit is a larger size for adult chickens and other poultry. Eliminate all lice and mites.